The Discovery Rainbow In My Room eliminates just one more reason why kids should go outside to play. 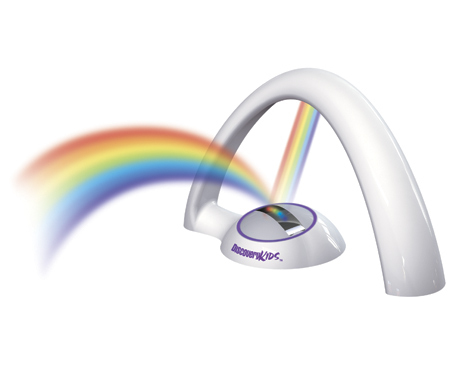 LED lights recreate the natural colors of a real rainbow and a motion-activated sensor turns the unit off with a wave of your hand. The leprechaun sure are going to be ticked over this gadget.